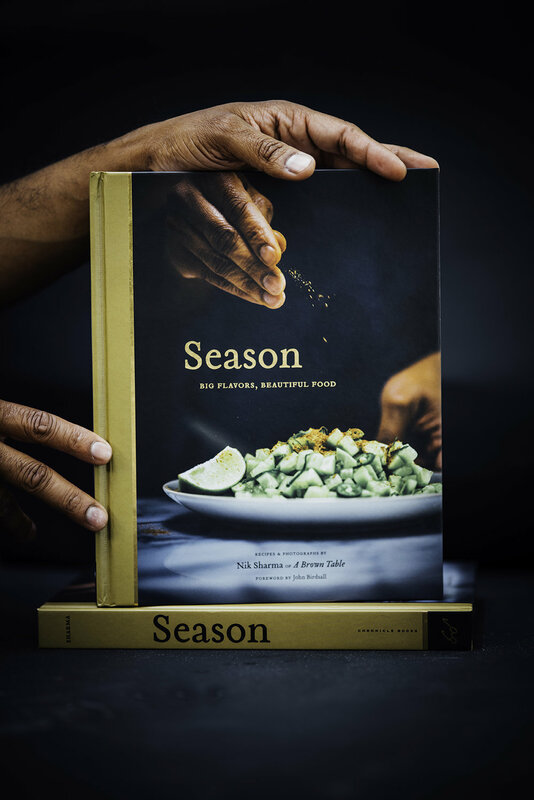 Fall is a time of excitement because it is cookbook season. There are a lot of new books that are published at this time of the year, from chefs and bloggers alike and it makes me so excited to see what they're are cooking up in their kitchens. You also get to learn more about the people that write these books, what drives them, what their passions are and what makes them unique. This week, my dear friend, Molly Yeh has a her first cookbook out! And the book is as colorful and fun as she is! In Molly on the Range, Molly shares recipes from her unique Chinese and Jewish cultures and her life on the farm. Pretty photos and illustrations accompany her story along with the recipes in her book and her recipes are equally delicious, like her chicken tater tot pie (which is next on my list of things to cook) and her iconic layer cakes covered decorated with funfetti and marzipan. Though I've known Molly for a while now, I don't think we've ever discussed our love for marzipan. In fact, it might come as a surprise to everyone as I've never shared a marzipan recipe here either. Every Christmas and Easter celebration, I eat a lot of marzipan because of tradition. At Easter, when my mom placed an order for easter eggs, I'd go with marzipan over chocolate. Marzipan smells and tastes wonderful and the thought of tasting that sweet and chewy texture makes me weak every time. So when, Molly asked me to share a recipe from her book, I quickly picked her Mandel bread recipe because it comes loaded with marzipan and a bunch of other tasting nuggets of flavor and color. (Check out the cute funfetti mix she made and sent along with the book in the little envelope). This is one book, I've been truly excited to wait to read ever since she announced it and it was every bit worth the wait and I highly recommend adding it to your bookshelves! Cut the marzipan into small 1/2 inch cubes, I initially cut them into semicircles because of the way the marzipan tube is shaped. Cubes will be slightly smaller and you will get more bursts of marzipan flavor in each bite. The dough is sticky because it is oil based so I strongly recommend greasing both your hands with a little extra oil before you set out to shape the loaves. I used a mix of 1/4 cup chocolate chips and 1/4 cup cacao nibs but feel free to choose one over the other if you prefer. I used Molly's mix of funfetti on top of the mandel bread because it was the right thing to do!